He [Henry] hung about the library; handled the books, deranged the papers, ransacked the drawers; searched the old purses and pocket-books for foreign coins; drew the sword cane; snapped the traveling pistols; upset everything in the corners, and penetrated the President’s dressing-closet where a row of tumblers, inverted on the shelf, covered caterpillars which were supposed to become moths and butterflies, but never did. The Madam bore with fortitude the loss of the tumblers which her husband purloined for these hatcheries; but she made protest when he carried off her best cut glass bowls to plant with acorns or peach stones that he might see the roots grow, but which she said, he commonly forgot like the caterpillars. His grandson, [Henry Adams added] was saddened by the sight and the smell of peaches and pears, the best of their kind, which he brought up from the garden to rot on his shelves for seed. With the inherited virtues of his Puritan ancestors, the little boy Henry conscientiously brought up to him in his study the finest peaches he found in the garden, and ate only the less perfect. Naturally he ate more by way of compensation, but the act showed that he bore no grudge. A law of acceleration, definite and constant as any law of mechanics, cannot be supposed to relax its energy to suit the convenience of man… If any analogy whatever existed between the human mind, on one side, and the laws of motion, on the other, the mind had already entered a field of attraction so violent that it must immediately pass beyond, into new equilibrium, like the Comet of Newton, to suffer dissipation altogether, like meteoroids in the earth’s atmosphere. If it behaved like an explosive, it must rapidly recover equilibrium; if it behaved like a vegetable, it must reach the limits of growth; and even if it acted like the earlier creations of energy—the saurians and sharks—it must have nearly reached the limits of expansion. If science were to go on doubling or quadrupling its complexities every ten years, even mathematics would succumb. An average mind has succumbed already in 1850; it could no longer understand the problem in 1900. However, the law of acceleration had only just begun to exert its most profound effects in 1900. One wonders what Adams would write in 1973. Not everyone, of course, had the penetration of intuitive insight which Adams possessed nor did many combine as Adams did, keen powers of analysis and a first-rate historical mind. The uneasy weight upon the human spirit of rationalization, technique, science, and bureaucratic order has been reflected most clearly in the last and in the present century by the poets and in imaginative literature and by the artists and the architects. Over and over again they have articulated the mood of revolt and despair, have reflected on decadence and yearned for rejuvenation. Even the “Avant-Garde” which has come to seem so meaningless and anarchic has its roots in social and metaphysical anxieties which cannot be divorced from the history of the past two centuries. In the course of the nineteenth century, the world became an uneasy habitation for mankind, and the images through which the Romantic artist expressed his unease were the images of the ruined garden and the devastated city. It is difficult to understand at first glance just why the notion of ruins had such appeal to eighteenth and nineteenth century Westerners. No previous era in history has been so endlessly constructive; none has ever left such monuments to its dynamic energies. And yet, from 1750 onwards there is a steady drum fire of books and essays which analyze the problem of decadence. I know no study which is so saddening as that of the evolution of humanity as it is set forth in the annals of history… Man is a brute, only more intelligent than other brutes…even the best of modern civilizations appears to me to exhibit a condition of mankind which neither embodies any worthy ideal nor even possesses the merit of stability. Still, we must ask ourselves again and again to explain the source of the aesthetic pleasure which men derived from the prospect of ruin, decay and apocalypse. Why was the image of the ruined garden so extraordinarily appealing to the Romantic mind? One can find many examples of the image of the ruined garden. Here is one chosen nearly at random, and literary rather than an example chosen from representational art. The passage is from Nathaniel Hawthorne’s The House of the Seven Gables. The description is of the garden of the decaying Pyncheon seven-gabled house. After an early tea, the little country girl [Phoebe] strayed into the garden. The enclosure had formerly been very extensive, but was now contracted within small compass, and hemmed about, partly by high wooden fences, and partly by the outbuildings of houses that stood on another street. In the center was a grass platt, surrounding a ruinous little structure, which showed just enough of its original design to indicate that it had once been a summer-house. A hop vine, springing from last year’s root, was beginning to clamber over it, but would be long in covering the roof with its green mantle. Three of the seven gables either fronted or looked sideways, with a dark solemnity of aspect, down into the garden. The black, rich soil had fed itself with the decay of a long period of time; such as fallen leaves, the petals of flowers, and the stalks and seed-vessels of vagrant and lawless plants, more useful after their death than ever while flaunting in the sun. The evil of these departed years would naturally have sprung up again, in such rank weeds (symbolic of the transmitted vices of society) as are always prone to root themselves about human dwellings. Of course, the images of the ruined garden and the devastated city are much older than the Romantic movement. As with so many of the furnishings of the mind of Western man they are Christian and primevally mythical in their origin and if one is to accept Freudian and Jungian explanations of symbolic forms, they are characteristic representations of the ruined mind. Dante’s Inferno is filled with alternating symbols of the garden which has been ruined and the perverse, tormented and devastated city. Still, the overriding emphasis which these symbols receive at the hands of the Romantics sharpens the question asked earlier as to the nature of the aesthetic pleasure which ruin engenders. Yet there was this hope: that creation itself would one day be set free from its slavery to decay, and share the glorious freedom of the children of God. For we know that up to the present time all of creation groans with pain like the pain of childbirth. Even then, however, it was still felt that gardens should awaken in the beholder memories of the Garden of Eden, of Arcadia, of Milton’s Paradise, of Elysium and of the idylls and the fairyland of poetry. The garden, moreover, did more than serve as a simple reminder of the lost Eden. Efforts to restore time and history, to end the cycle of decay and to renew life centered on the notion of a return, while yet on this earth, to Paradise. These efforts find their culmination in the landscape architecture and the revolution in biological science which ushered in the eighteenth century. Men began to assume that the very act of living in a totally “natural” landscape would infuse a fallen and corrupted race with virtue and primal strength. The myth of renewal through a return to nature was born. The landscape garden was something much more than a new kind of garden. It implied a wholly new relationship between man and nature and a new conception of art in general. To an even greater extent than Sedylmayr implies, however, the new landscape architecture of the eighteenth century was a revolutionary art. Indeed, some commentators have suggested that it corresponds directly to the triumph of Whig politics in England. The garden architecture of the seventeenth century had been a garden art of mechanical, geometric perfection. The garden had been conceived architecturally, the areas of the garden as rooms of a house or palace extended into nature. The object of the gardener was to totally order nature according to mathematical and mechanical design, or at least to confront nature, as at Versailles, and overpower it with the ordered constructions of man. The consequence was a garden devoid of rapture; pretty without being beautiful; a nature which was splendid without being awesome. The idea that appreciation of nature can be combined with a desire for intellectual order has never been acceptable in England. Whether or not such is the case it is true that the new school of landscape architecture developed quite suddenly in England. To be sure, there had been anticipations in the growing cult of ruins, the preoccupation with mortality as evidenced especially in the graveyard school of poets, in the preoccupation with transience and organic process, in the quest for origins and primitive purity, and most especially, in the nature poetry of James Thomson. Alexander Pope had done much by way of anticipation both in his poetry and in actual garden design to usher in the new era. But it was William Kent, working from the 720s to the time of his death in 1748 who banished from garden architecture the bilateral symmetry, the geometric design, the simplicity, regularity, and uniformity which had been the chief characteristics of Baroque garden architecture, especially as practiced by the great French garden architect of Versailles, Le Notre. Kent sentimentalized the garden and associated it, not with order, but with a humor psychology and a heavy emphasis upon death, mutability, and the seemingly contingent and accidental. What William Kent succeeded in creating was a garden design from which the rational and analytical style, as it was conceived in the seventeenth century, had disappeared. It is impossible to mistake the clear intention of the new school of garden architects. They intended to destroy the previous image of nature, and although a great many painters and viewers in, the new Romantic style assumed a larger, organic harmony to reside in the natural, it clearly lay beyond, the powers of rational or scientific analysis and could only be perceived through the powers of intuition. Most importantly, however, the new garden architecture presupposed human nature and rationality to be a part of the organic processes of the landscape and the endless flow of time. The geometric gardens of the past, which were little more than extensions of the house or the palace into the landscape, had sought to demonstrate, on the contrary, man’s mastery over nature. There are few better examples of the psychological impact of the new attitudes toward nature and time than Goethe’s novella, Elective Affinities (Die Wahlverwandtschaften). In this novella, the psychological relationships, organic and tangled as a Celtic illumination from the Book of Kells, reflect the subtle organic harmonies of chemistry, the landscape and primeval time. The novel, like much of Romantic thought, depended for its power on the theme of a hidden harmony revealed; a harmony which lay beyond the power of rationality in its ordinary sense. It [a flash of lightning] is a symbol of a new relationship between Man and Nature which was to become commonplace enough in the early years of the following century, but which, when it was first experienced, seemed to deserve a new name. According to the intensity with which the hostility to nature was stated [in the seventeenth and early eighteenth centuries] it could be either ‘picturesque’ or ‘sublime.’ In both cases the intention was the same. Its purpose was to point out that Man was sensitive and civilized; Nature unruly and untamed. What man had created nature could destroy. But whereas the earlier half of the [eighteenth] century had regarded such destruction as in every way undesirable and disgusting, the new romantic attitude began to find it impressive and, given the correct, the sensitive attitude to it admirable. The “sensitive attitude” which the new sensibility required was an altogether understandable one. It was the consequence of the anxiety which order produces. It is not altogether accidental that the century which dreamt of inventing a perpetual motion machine would fall in love with ruins and mutability. 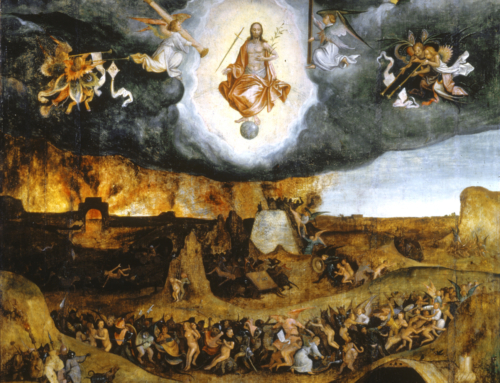 By the end of the eighteenth century, apocalyptic themes are extremely common in both art and literature. The cosmic disorders depicted by John Martin, the apocalyptic visions of Benjamin West, the roar of disordered elements which figure so prominently in the works of Turner all illustrate this growing vogue of destruction, dissolution and cosmic catastrophe. At first, the themes are cast in terms of biblical and historical events. By the end of the eighteenth century, however, the apocalypse has been naturalized. It has become a part of natural process and holds out no meaning larger or more transcendent than time’s erosion and nature’s dissolution. The greatest historical work of the eighteenth century, Gibbon’s Decline and Fall of the Roman Empire had its inception in Gibbon’s interest in the physical ruins of ancient Rome. Giovanni Battista Piranesi (1720-78) celebrated those same ruins in the most splendid and remarkable set of etchings which the eighteenth century produced. These etchings of Rome in ruins are justifiably famous even though one tires of seeing them on the walls of every pretentious hotel and motel room in America. Less well known are the etchings created by Piranesi in which he depicts fantastic prisons modeled on a monstrous Roman architectural scheme. It is as though Piranesi in his conjunction of ruins and rationally calculated but nonetheless fantastic prison scenes is seeking to convey the futility and the absurdity of any rational and ordered construction. He says, in effect, that such constructions serve as prison houses for the human spirit and are eventually, no matter how grand, monumental or imposing, overthrown by time. “The Dream of Reason brings forth Monsters,” Goya wrote beneath one of his “Los Caprichos.” That madness was somehow associated with a mechanical and monstrous rationality was sensed by the artists and writers of the nineteenth century. The nineteenth-century fascination with madness is an analogue of its interest in the ruined garden and the devastated city. The Romantics had ceased to conceive of order and analysis as benign and beneficent and saw them as folly and as horror. Horror, however, was a mood not much prevalent in eighteenth and early nineteenth-century thought. When it appears it is decked out in the stage-designer’s costumes and in a theatrical setting. Horror is still a poetic fiction, and apocalypse, divorced from its religious matrix, a kind of fantastic make-believe. The chilling raptures of the Romantics were up to the end of the nineteenth century still a source of amusement and aesthetic titillation. Goya was, in fact, an anomaly. It remained for the twentieth century to turn the artist’s dream and the poet’s vision into workaday reality. If sentimentality may be defined as having an emotion without paying the price for it, then nineteenth-century Romantic art is sentimental without being genuinely horrible. No one has accused the apocalyptic art of the twentieth century of sentimentality. Nonetheless, the basic symbols of contemporary art had been invented and the modern sensibility had been created by the Romantics. The most emphatic preoccupation of that sensibility was the problem of order, particularly as order expressed itself in rational technique and in the harmony of nature. If order is the key then disorder, tumult, and primal anarchy serve to underline and to denominate an order which has been lost and a humanity which is alienated. The earthly paradise, so often the symbolic focus of art, literature and politics in the nineteenth century, is in part credible because of an earthly hell. Until recently two of the greatest of the Romantic painters, Joseph Mallord William Turner (1775-1851) and Caspar David Friedrich (1774-1840), have received only a tithe of the attention which they deserve. Nearly exact contemporaries, they drew upon the same iconographic symbols even though they expressed themselves in very different artistic idioms. They set themselves to depict a world of unmastered and irrational primal energies. In the works of each, man is swallowed up and defeated by natural forces which cannot be contained, regulated, or even understood by man. Apocalypse is secularized and translated into avalanche, storm and the slow decay and ruin occasioned by the passage of time. No doubt Turner is the greater of the two painters considered only in aesthetic and formalistic terms but Friedrich displays an equal perception of what the modern sensibility has believed to be man’s predicament. In Friedrich’s paintings, the joy in ruins is everywhere discernible. These ruins are not only the physical remnants of time-eroded gothic buildings and monasteries. Friedrich is at his most impressive best when he presents a ruined and blasted nature frustrated by time’s ability to dissolve. Death and the ruined garden are, for both, Turner and Friedrich, demonstrations of the ultimate irrationality of man’s existence. In Turner’s paintings, even the energies released by the industrial revolution melt and blend with the demonic forces of nature. The rational, in short, is absorbed by the irrational, and purpose and order vanish in a pyrotechnic display of light and color. Why is almost every robust and healthy boy with a robust healthy soul in him, at some time or other crazy to go to sea? Why upon your first voyage as a passenger, did you yourself feel such a mystical vibration, when first told that you and your ship were now out of sight of land? Why did the old Persians hold the sea holy? Why did the Greeks give it a separate deity, an own brother of Jove? Surely all this is not without meaning. And the still deeper meaning of that story of Narcissus, who because he could not grasp the tormenting mild image he saw in the fountain, plunged into it and was drowned. But the same image, we ourselves see in all rivers and oceans. It is the image of the ungraspable phantom of life; and this is the key to it all. Of all divers thou has dived the deepest. That head upon which the upper sun now gleams, has moved amid, this world’s foundations. Where unrecorded names and navies rest, and untold hopes and anchors rot; where in her murderous hold this frigate earth is ballasted with bones of millions of the drowned; there, in that awful water land, there was thy most familiar home. Thou hast been where bell or diver never went; hast slept by many a sailor’s side, where sleepless mothers would give their lives to lay them down. Only one symbol lies beyond that of the sea in the intensity of its absurdity. That symbol is the image of the frozen ocean, absolutely and totally inhospitable to man and his purposes. It is the whiteness of ice that is the color of the whale and which evokes from Melville the justifiably famous passage, Chapter XLII on “The Whiteness of the Whale.” Friedrich’s most famous painting “Die verungliickte Hoffnung” (The Wrecked Ship Hope), (Hamburg, Kunsthalle), takes as its iconographic theme a shipwreck in an arctic sea; the ship, appropriately bearing the name “Hope,” crushed by the huge blocks of ice randomly and crazily thrust upon one another by the chaotic forces of an absurd nature. Shipwreck is a common theme of the Romantic painters. Delacroix had tried his hand but his effort is pale and unconvincing when compared to Theodore Gericault’s “The Raft of the Medusa.” It has been described as the greatest single painting of the Romantic era, though this honor must surely be held by Delacroix’ “Death of Sardanapalus.” Gericault depicts a raft filled with the survivors of the shipwrecked Medusa. The living have cannibalized the bodies of their dead. They are caught in the angry and destructive motion of an empty, implacable and stormy sea. Gericault’s contemporaries read into the painting a message of hope but that surely is mistaken. It is clear that the irrational expectation of salvation held in spite of the hopelessness of the situation and in the midst of death, fills the painting with contradiction and a mood of delusion. The French historian Michelet wrote of this painting; “It is France herself, it is all our society which is embarked on the raft of the Medusa.” And so the ruined garden has its analogue in the symbol of a ruined and overwhelmed humanity. The charm, the rapture, produced by the Romantic aesthetic lies in its destruction of the order of providential nature and the ordering gestures of God and man. Although these symbols of disorder are first evidenced in the treatment of nature by the artist they are soon extended to man. Gericault was the first modern painter to study madness and to treat it both naturalistically and symbolically. He banishes exaggeration from his paintings and lets the agonized, confused, and ravaged faces of madmen speak for themselves. The beauty of deformity, the structures of inverted and perverted order, the drugged rapture and the sadistic pleasure are the commonplace themes of Romantic and contemporary literature. The ruined landscape of the human spirit was found to be as entertaining and as exciting as the landscape of the ruined garden. The charm of these symbols of ruin lies in the sense of relief from order and calculation which they provide, in their ability to gratify the senses and titillate the sensibility without reckoning on the consequences. It is only when the poet’s image is translated into waking reality that the full horror of a disordered world becomes apparent. After all, art galleries are so clean and middle-class, and books, as we all know, have no consequences. The images of the garden and the city have been fused, at least since the Renaissance. Dante’s great rose image in the Paradiso combines the two so skillfully that they merge and become one symbol of perfected order. Those same painters and artists who discovered the ruined garden also exploited the image of ultimate disorder in the theme of the ravaged and devastated city. At first, the theme is developed in slightly biblical terms. The disordered city is Nineveh. The theme of the collapse of empire is not, until the middle of the nineteenth century, specifically Roman. The distance between artistic competence and artistic genius is nowhere clearer than in a comparison of John Martin’s The Fall of Nineveh and Eugene Delacroix’ Death of Sardanapalus. Delacroix’ painting is the Romantic vision of the city besieged and on the point of surrender. It is the moment of the final no of disorder, conquest and destruction. It is the moment when lust and death reign supreme. Thomas Cole, the American Romantic painter in his cycle of paintings, The Course of Empire traces the growth and destruction of empire through the image of the imperial city. The echoes of Claude and the pastoral myth of the golden age are apparent in “The Savage State” and in “The Arcadian or Pastoral State” but the paintings entitled, “The Consummation of Empire” “Destruction” and “Desolation” strike a new note. They rely on models provided by John Martin and echo the profound distrust of imperial greatness which characterized not only American republicanism but nineteenth-century European thought generally. Thomas Couture’s “The Romans of the Decadence” explores the same theme though without the artistic integrity of Martin, Delacroix, and Cole. By the middle of the nineteenth century, the notion of the decay of imperial grandeur and the decline of cities and states into the lawlessness and hedonism of decadence was fast becoming an intellectual cliché. We have become accustomed to thinking of revolutions as historic events which take place in the realm of public life in the streets and in the noisy assemblies of legislators. We fail to recognize that every revolution which reaches the streets has first been made in the minds of men. Those minds are not the minds of a howling mob made up of the proletariat. They are the minds of men who possess a cultivated and sophisticated sensibility. They are, in short, men who might or who actually do share our intellectual and our moral world. Revolutions are first made in the world of the spirit, and in that world art and literature are more effective revolutionary instruments than guns. The image of reason cut adrift and order overthrown are universal symbols of enormous and compelling power. Each of us sees in the dethronement of discipline and order an immediate personal advantage. Even when we are reluctant to turn our fantasies into overt action, we still dream of a world in which instinct rather than reason is dominant and in which anarchic freedom rather than ordered restraint is the permanent condition of human existence. It is important to remember, however, that we are capable of resisting the siren songs of anarchy only when the demands made by order are compatible with our lowly humanity and only so long as order is directed to thoroughly rational ends, and the rewards of order are apparent and immediately enjoyable, in some degree, by the whole of our society. 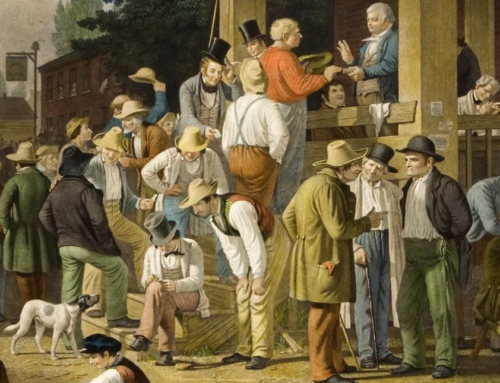 The Romantics and the neo-Romantics of the present time have found the image of order overthrown so attractive and compelling precisely because the benefits of order were not widely recognized, and the costs of order, especially the psychological costs, were so keenly felt and so widely known. This essay in our series of “Timeless Essays” was first published here in January 2017. Republished with gracious permission from Modern Age (Volume 17, No. 4, 1973). Renato Poggioli, The Theory of the Avant-Garde, translated from the Italian by Gerald Fitzgerald (Harvard University Press, Cambridge, 1968). A. Bartlett Giamatti, The Earthly Paradise and the Renaissance Epic (Princeton University Press, Princeton, 1966). 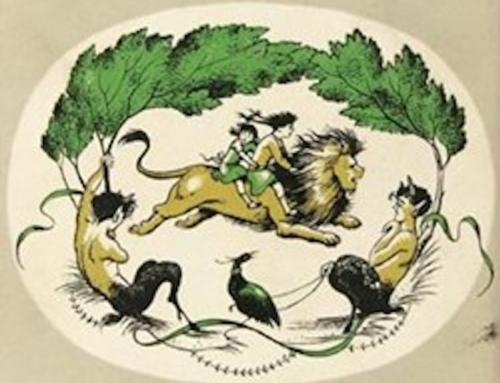 Thomas Finkenstaedt, “Der Garten des Konigs” in Wandlungen des Paradiesischen und Utopischen, Studien zum Bild eines Ideals, (Walter De Gruyter & Co., Berlin, 1966). Hans Sedylmayr, Art in Crisis, The Lost Center (London, Hollis and Carter, 1957), p. 18. Kenneth Clark, Landscape Painting (New York, Charles Scribner’s Sons, 1950), p. 70. Maynard Mack, The Garden and the City, Retirement and Politics in the Later Poetry of Pope, 1731-1743 (The University of Toronto Press, Toronto, 1969). Margaret Jourdain, The Work of William Kent (London, Country Life, 1948). See also, Derek Clifford, A History of Garden Design (Revised ed. ), (Frederick A. Praeger, New York, 1966); Edward Huams, Capability Brown & Humphry Repton (Charles Scribner’s Sons, New York, 1971) and Christopher Hussey, English Gardens and Landscapes, 1700-1750 (Funk and Wagnalls, New York, 1967). For the background of the revolution in garden architecture see, H.V.S. and M.S. Ogden, English Taste in Landscape in the Seventeenth Century (The University of Michigan Press, Ann Arbor, 1955). Goethe, Johann Wolfgang von, Die Wahlverwandtschaften, (Elective Affinities), translated by Elizabeth Mayer and Louise Bogan, introduced by Victor Lange (Chicago, Henry Regnery Co., 1963). Eric Newton, The Romantic Rebellion (SL Martin’s Press, New York, 1962), p. 105. Max Peter Maass, Das Apokalyptische in der modemen Kunst, Endzeit oder Neuzeit, Versuch einer Deutung (F. Bruckmann, Miinchen, 1965). Werner Hofmann, The Earthly Paradise, Art in the Nineteenth Century, translated from the German by Brian Battershaw (George Braziller, New York, 1961). William Vaughan, Helmut Borsch-Supan, Hans Joachim Niedhardt, Caspar David Friedrich, 1774-1840, Romantic Landscape Painting in Dresden (The Tate Gallery, London, 1972). W.H. Auden, The Enchafed Flood or The Romantic Iconography of the Sea (Random House, New York, 1950), pp. 7-8. Lorenz Eitner, Gericault’s “Raft of the Medusa” (Phaidon, London, 1973). Mario Praz, The Romantic Agony, translated from the Italian by Angus Davidson (Meridian Books, Cleveland, 1956). It took me a while to figure out where this was going, and I loved the conclusion it finally came to. There is, as you say, a tension in all of us between the desire for order and the frustration of restraint. But there is also something more in the Romantics – a fascination with powers larger than we are, powers large enough to be wondered at, to drag us out of the lull of the mundane, into a place where adventure and awe still exist. Perhaps the key is to re-learn how to wonder at the small and ordered things as well as at the wild ones.